I’ve always wanted to make a patchwork blanket, but I’ve always been a little bit intimidated by the weaving and joining and time involved in the process. Well, I need to make a birthday gift for a little girl who’s turning 5, and decided that I would make her a baby doll blanket made from this daisy square motif. 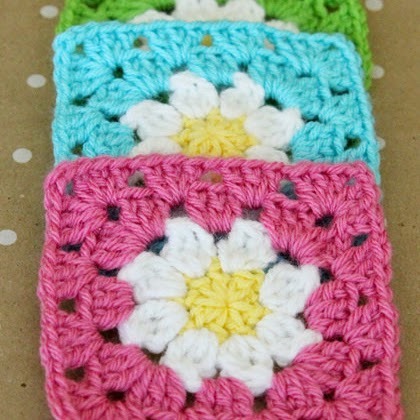 This daisy granny square is simple, yet beautiful. If you don’t want to make an afghan or baby blanket, they’d also be perfect for coasters. Want to make some of these adorable squares? Here’s how.